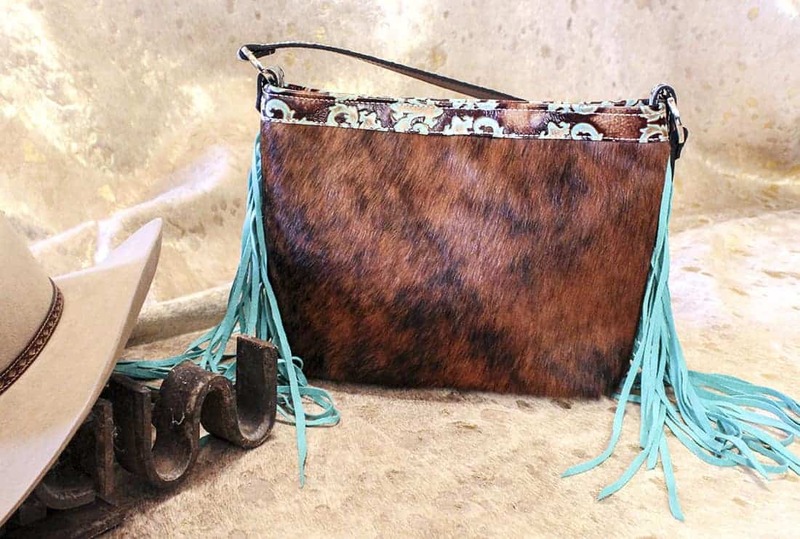 Pueblo meets the old west in our newest Classic. 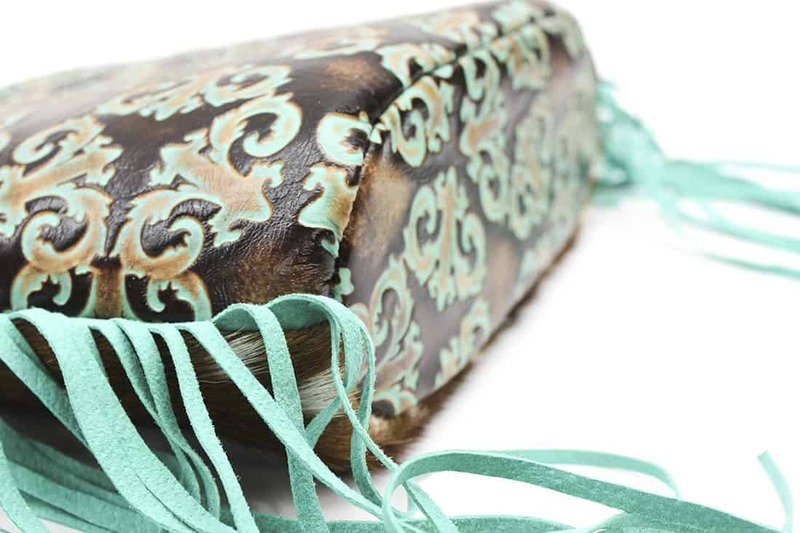 Brindle hair-on-hide makes a bold statement up front with its rusty hues while the bold Talevera patterns flanks the back. 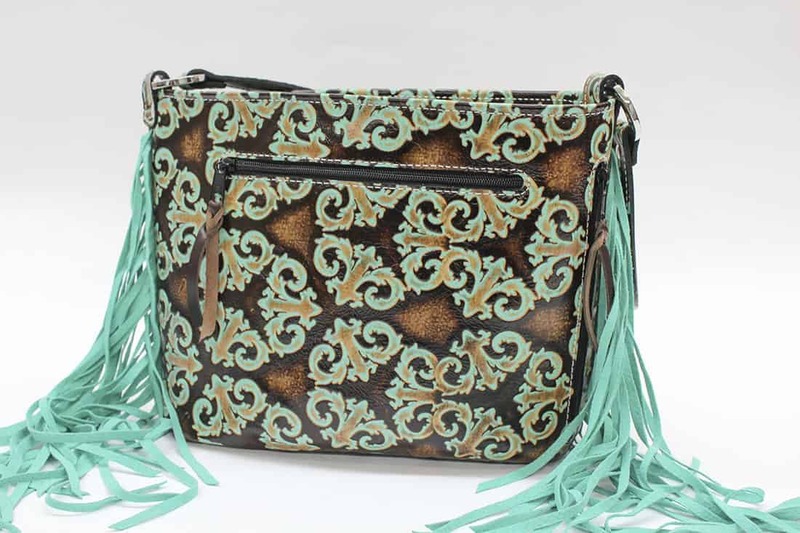 No wallflowers here. 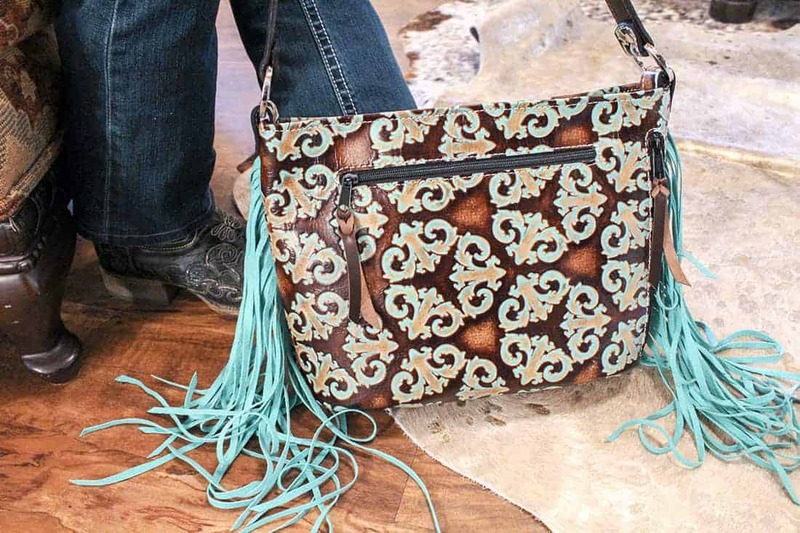 This baby makes a bold entrance and catches the envious eye of all your buds. 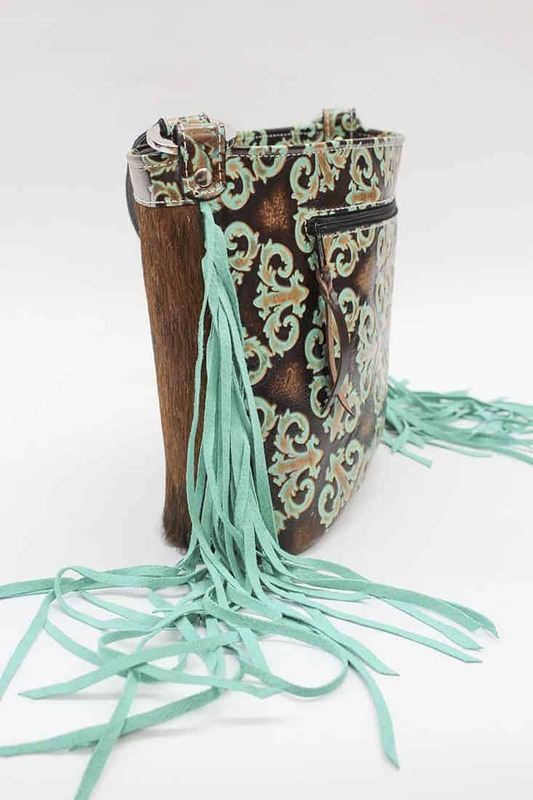 A dreamy edition to your handbag collection. 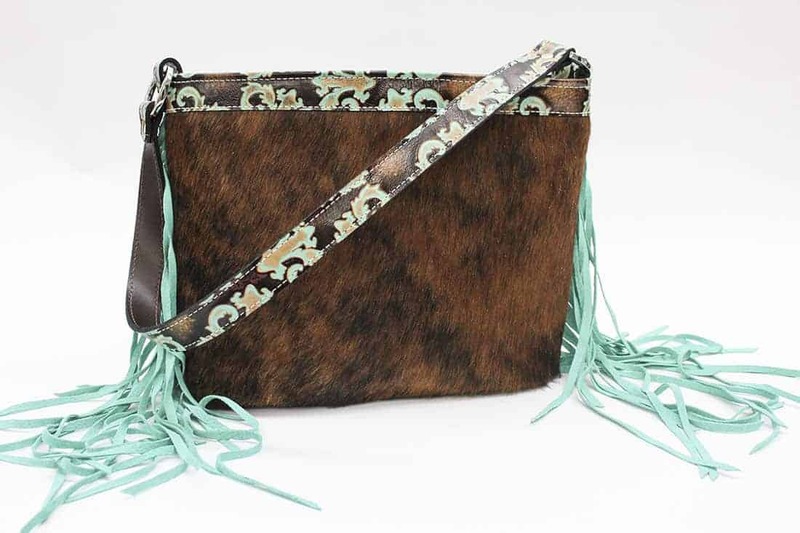 Our Brindle Cowhide and Talevera Classic Concealed Carry Purse is available in Petite only, with either a left or right hand draw. 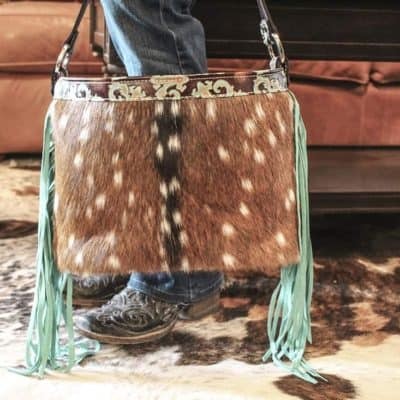 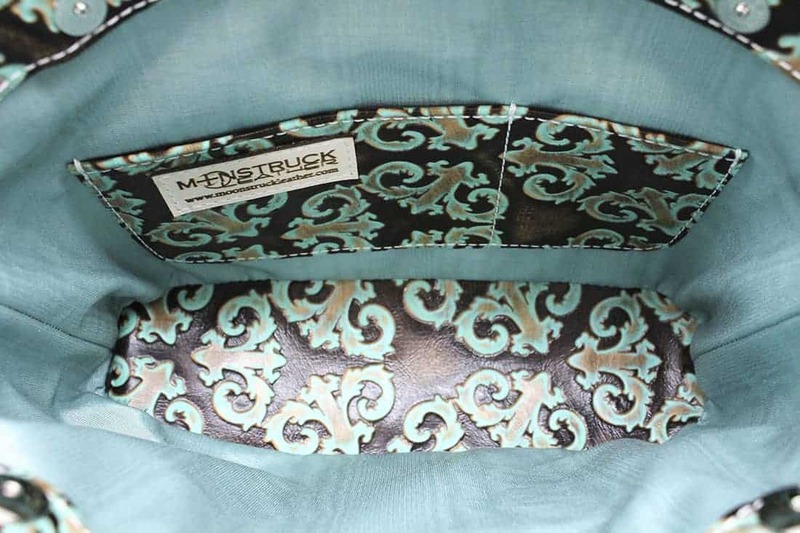 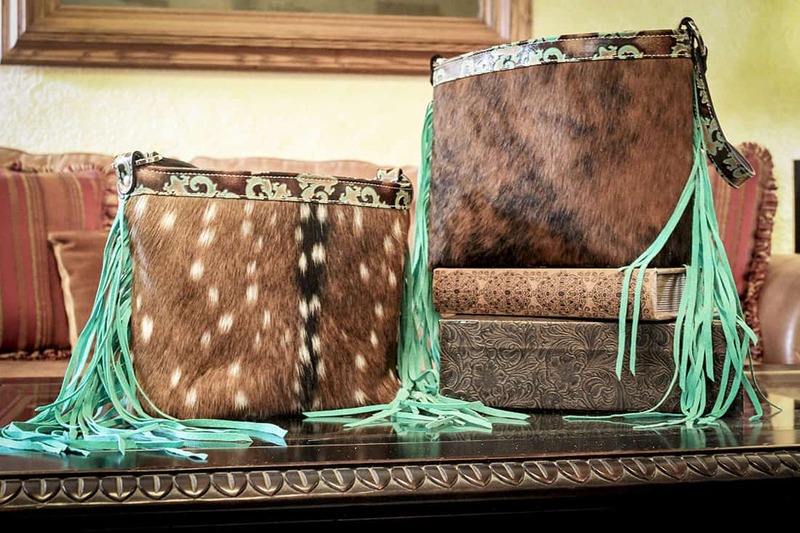 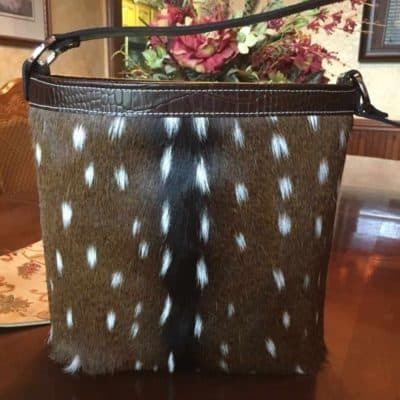 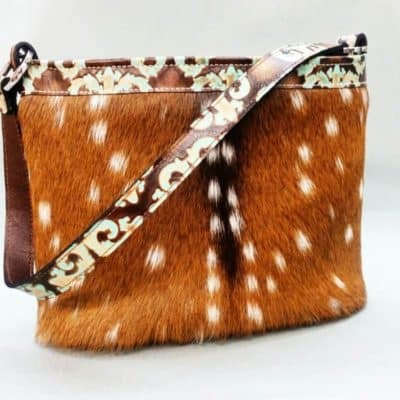 Due to the nature of the brindle hair pattern, every conceal and carry purse will be unique and have its own characteristics.